February, the month of love, I am twelve kinds of excited you have arrived. Valentine's Day has always been my favorite holiday. I'm a gal who loves pink, sparkles, hearts, and sweets, so it makes perfect sense, doesn't it? Valentine's Day as an elementary school teacher was all sorts of amazing - from the shoebox mailboxes, to the themed crafts, to the festive attire, to the special holiday treats, it was one of my favorite times of the year to teach. Since becoming a mom, I've fallen in love with February even more because I get to introduce all these things to Parker. And each year, as he gets older, I get to introduce a little more. 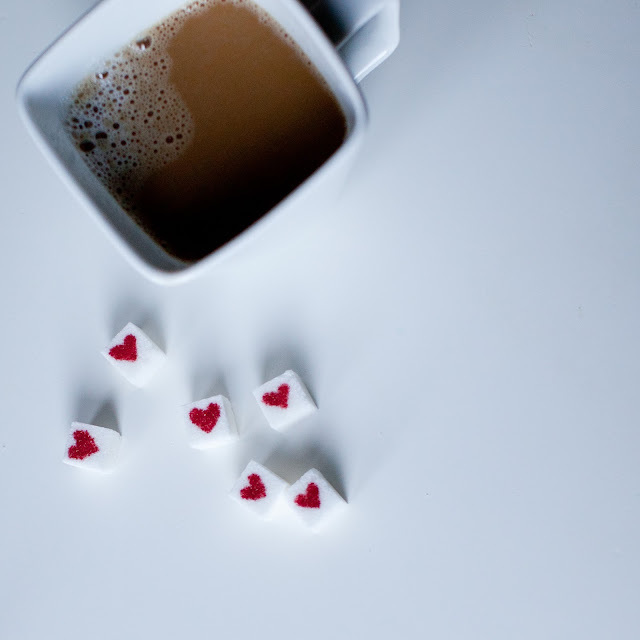 So bring on the books about LOVE, bring on the heart shaped pancakes and pink hot chocolate. And, to brighten up your morning cup of coffee, bring on the Valentine Sugar Cubes! 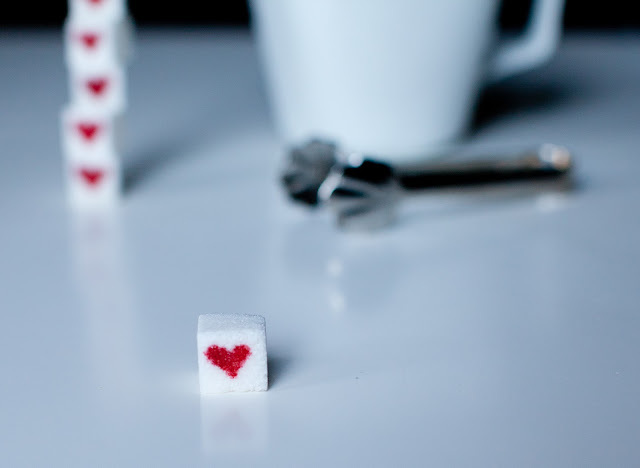 To make, just grab a red edible ink marker (I picked up a multi-colored pack in the baking/decorating section of our big Publix, next to the frosting and sprinkles) and freehand the hearts right on the cubes. I promise, they are guaranteed to make you smile. February with a toddler is so much fun!!! Cute! So fun!! I loved the shoebox mailboxes!! Happy February!! 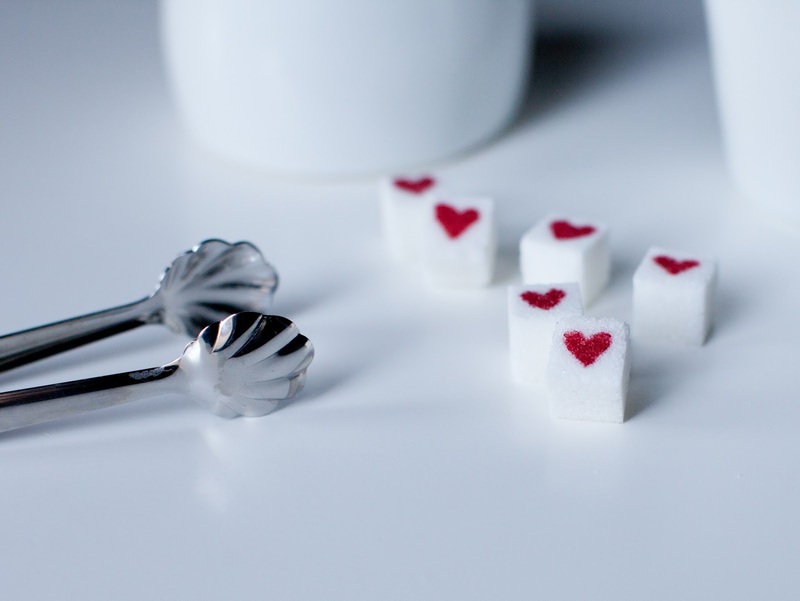 The sugar cube idea is so cute!! 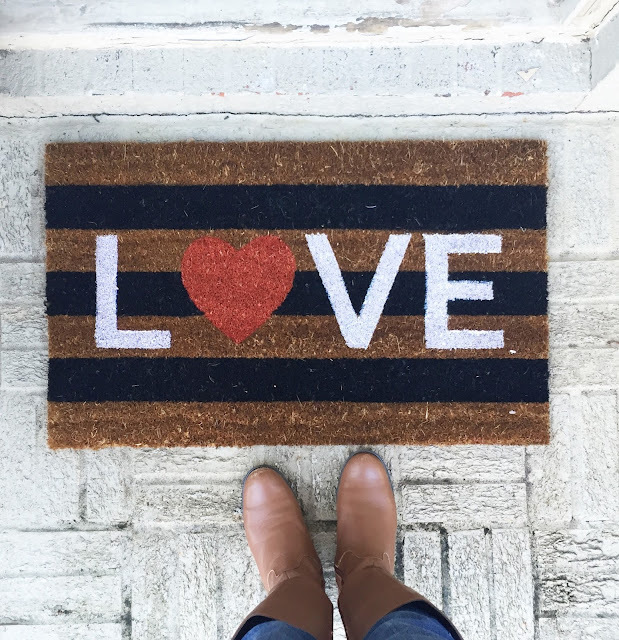 I saw that mat at Target this weekend and it almost made its way into my cart! Love it! These are adorable! We don't do too much for Valentines right now, but I have a feeling it will be 100 times more fun when we have a little one around!